In the past few years, the number of shoes which placed importance on professional craftsmanship has been decreasing. The shoes in the market are showing result of placing importance on how to efficiently manufacture as many shoes as possible with the lowest budget as possible. Thus, the traditional techniques that are crystallization of the wise craftsman’s knowledge and efforts are disappearing, and the high skills of the craftsmen were avoided and considered as not efficient. However, because we are in this age, we have strong desires to get back the traditional shoemaking craftsmanship to our modern times. 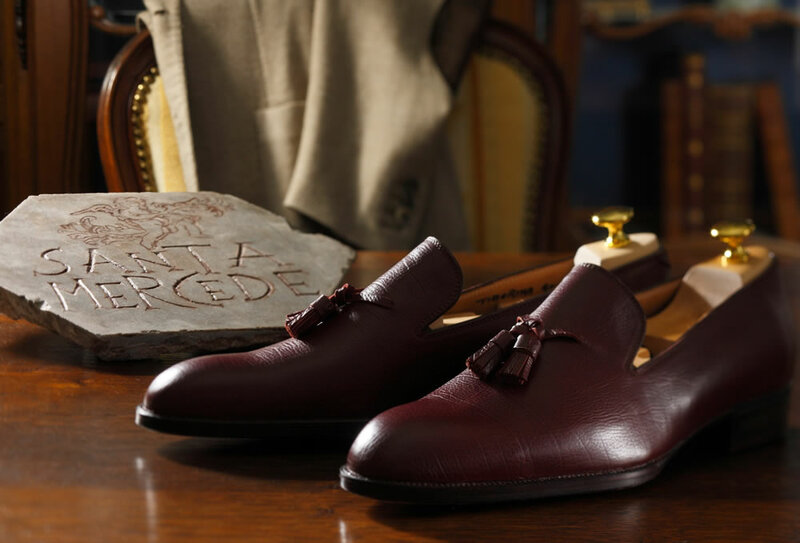 The beautiful and strong shoes, easy-to-wear, made by highly trained craftsman. We would like all the people out there to feel these shoes and enjoy them. After launching our first shoes-manufacturer in Rome in 2012, we have soundly developed our project over the course of time. And we will continue further challenges. All for delivering the beauty of tradition to our future generations. Copyright © SANTA MERCEDE. All Rights Reserved.